At the centre of Africa Science Week-Kenya is our flagship Faces of Kenyan Science campaign, a nationwide multi-media and multi-platform campaign featuring 20 exceptional Kenyan researchers, practitioners, innovators, educators, tinkerers and makers of all stripes. Meet our Faces of Kenyan Science, who include an astronomer behind the Travelling Telescope, a former Permanent Secretary and ICT enthusiast, a 2017 Quart Africa Innovator and a pioneer in Kiswahili science fiction. You can also learn more by watching our Faces of Kenyan Science preview video. ASW- Kenya wanted to bring to light the long and living tradition of Kenyan excellence in science. To do this, we not only found some of the most exceptional scientists in Kenya, but also conducted extensive research to unearth some of the most compelling and surprising achievements we could find in Kenya’s scientific history. We compiled these into a book highlighting some of Kenya’s most impressive contributions to the global scientific enterprise. The word “kibao” in the book’s title is a Swahili slang term meaning “a lot”, and this book offers a small window into this rich legacy of Kenyan science. Nairobi Ideas Podcast is part of the Mawazo Institute’s public engagement program. As part of the 2018 Africa Science Week - Kenya (ASW-Kenya) Nairobi Ideas launches its first five episodes featuring interviews with scientists from our Faces of Kenyan Science campaign. Take a listen as our host, Dr. Rose M. Mutiso, CEO of the Mawazo Institute sits down with some of the Kenyans behind the biggest ideas. The 2018 Africa Science Week - Kenya kicked off with a launch event held on December 3rd. The event introduced scientists from our 'Faces of Kenyan Science’ campaign, previewed ASW-Kenya events, and featured showcases by young innovators including the Young Scientists Kenya and Little Einsteins. Key note speakers for the event were Ms. Nathalie Munyampenda (Managing Director, Next Einstein Forum), Ms. Alexandra Palt (Executive Vice President, The L’Oréal Foundation) and Dr. Moses Rugutt (Director General, National Commission for Science, Technology and Innovation). Invited guests were a mix of practicing scientists, media, students and science lovers of all ages. On the morning of December 5th, we held a breakfast for women, targeting early and mid career women scientists hearing from senior women professionals. Our panelists for the day were: Dr. Kwezikazi Molamodi (Clinical and Instrumental Evaluation Scientist, L'Oréal South Africa), Dr. Linda Davis (CEO, Giraffe Bioenergy), Dr. Shikoh Gitau (Head of Products, Alpha at Safaricom Limited and 2018 Face of Kenyan Science), Dr. Joy Kiiru, (Senior Lecturer at the School of Economics, University of Nairobi). The conversation was moderated by Dr. Evelyn Gitau (Director of Research Capacity Strengthening, African Population and Health Research Centre (APHRC). Ideas are the essence of creativity, the spark to innovation and the call to research. During Nairobi Ideas Night (NIN), we offer local researchers, scholars and other self-identifying nerds an informal and engaging platform to present their ideas to the public. 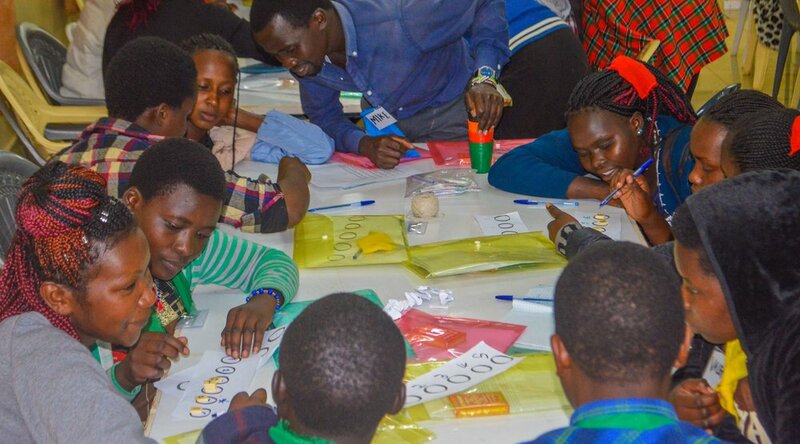 As part of ASW-Kenya, the Mawazo Institute presented two Nairobi Ideas Night events. Wanja Getambu-Kiragu, Director of Transport Operations, East African Online Transport Agency Ltd.
As part of GMin Kenya, Africa Science Week presented a research module to the 30+ high school students in attendance. 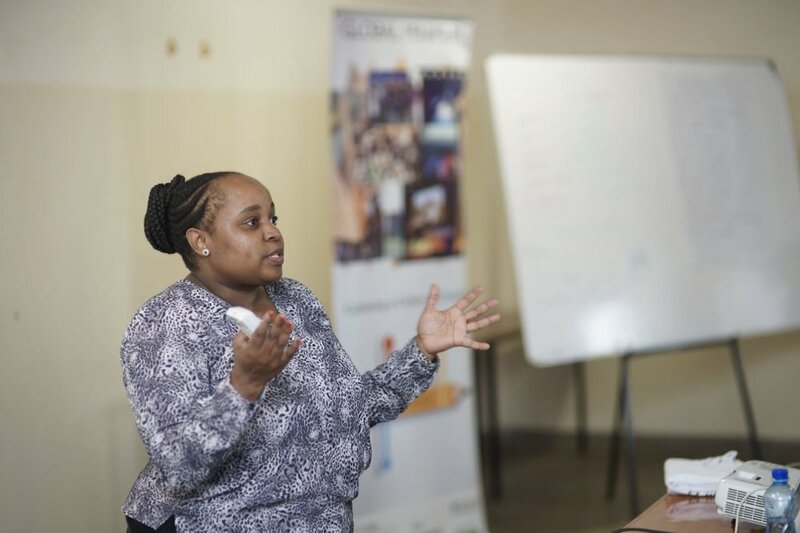 Taught by Dr. Chao Mbogo and Dr. Rose Mutiso, the class gave students an introduction to research; including best practices that could help them in developing their individual projects for the GMin Innovate Challenge. GMin gives an opportunity for young innovators to turn their life changing ideas into tangible solutions. Majority of the teams in this year’s camp worked on projects in healthcare, finance, transport, security as well as energy and environment. Susan Murabana, Managing Director at The Travelling Telescope Africa Ltd.
Over five days, 40 girls from secondary schools from across Kenya gathered for a week-long residential Maths Camp in Kitale. The first of its kind to be hosted by math enthusiasts, the African Maths Initiative. Over the course of the week, the girls learned robotics, statistics, cryptography and computer programming, among other subjects. Our hope is to encourage more young girls to take up careers in Maths and realizes its practical uses.